In life, whether we find ourselves in school or at a job, we may face work that we have to do in groups—either by choice or because we are instructed to do so. In those situations, the feelings can be quite mixed. You have some people who adore working in groups while others prefer to work individually. Regardless, working with others has countless benefits. There are several different kinds of group work that we can bring to our classrooms, board meetings, or any other time we bring people together. 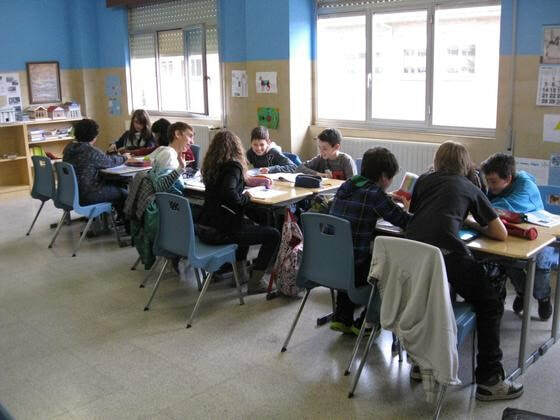 Parallel learning stations, or parallel play, serves as a great way to engage students in a way that allows them to work individually but in the same space. Students can observe what their classmates are working on or playing with while simultaneously doing their activity. If they see another student doing something they have never seen or tried before, it can motivate them to take a new approach. When running an activity that requires group work, have students change groups every now and then. This rearrangement allows them to interact with different students and gives them a chance to move around. Give each student a card with four different shapes in four different colors (i.e., red star, blue circle, yellow square, and green triangle). Each card should be different for every student. For each activity, group them by shape and color (i.e., all students with a yellow circle together, all students with a blue star together). Form new groups for every activity based on those cards. Students will gain new perspectives and may even make a new friend with a student with whom they do not normally interact. If you need help with laying this out, your Fellow can help! The beginning of the school year typically includes mixers, mixers, and more mixers! It is important for students to get to know their teacher and classmates because it contributes to building a sense of community. These activities don’t necessarily have to contain any educational content. Rather, they focus on interaction. But activities like these don’t have to be limited to the beginning of the year. Plan an activity for your students to interact with each other that focuses on k’hilah (community). Options include: working together on a special project, games where they share information about themselves, and even having a party to celebrate an accomplishment as a class. These are just a few examples of how to make group work a valuable and versatile approach to any activity. Collaborative work does not need to be limited to the classroom. Adults can benefit from these strategies as much as students in a classroom can.